The Boston Terrier is an American breed of domesticated dog, small to medium-sized with a muscular and heavy-set appearance similar to the English terrier breeds. 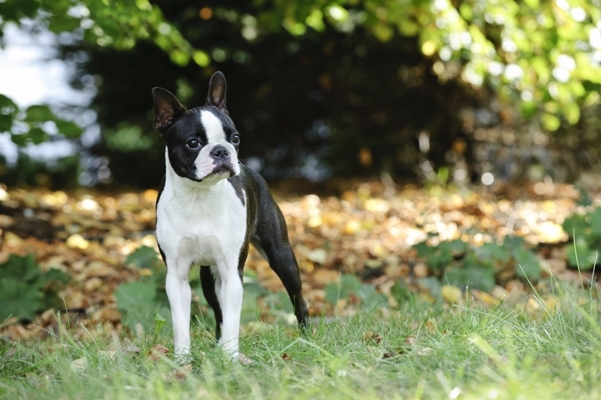 The Boston Terrier shares lineage with a number of English terriers and bull dogs such as the Staffordshire Bull Terrier and English Bulldog. Unlike the Pit Bull and some other terrier breeds, the Boston Terrier has been selectively bred to be affectionate, steadfast in its determination and very loyal. Boston Terriers were recognised by the American Kennel Club in 1893 and are typically small but well-muscled dogs with a balanced compact profile, short tail and erect ears. The three colours of the pure bred animals are black, seal and brindle with white markings. Considered to be very intelligent and highly trainable, the Boston Terrier is a people-orientated little dog that is highly enthusiastic and enjoys human interaction. 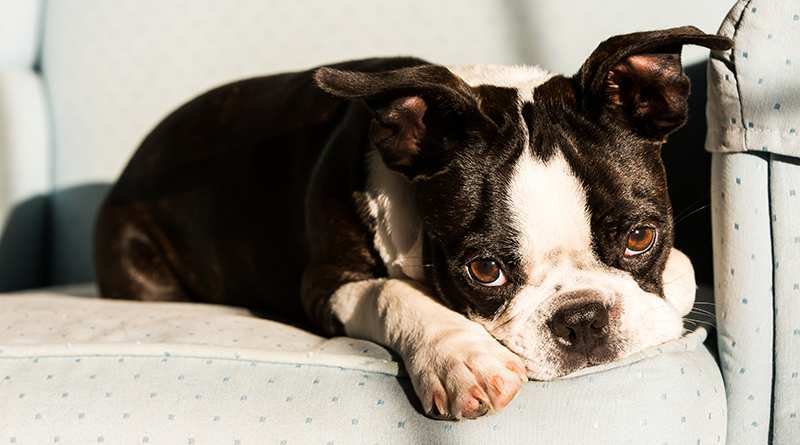 Eager to please its owner, the Boston terrier’s loyalty makes it a largely obedient dog, however they are prone to bouts of stubbornness if discipline isn’t maintained. Boston Terriers are very good with children and have proven to be gentle indoor playmates for the young and elderly alike. Known as the ‘Little American Gentleman’ the Boston Terrier has a very good affectionate temperament and will enjoy quiet time on the couch just as much as a good play outdoors. Very tolerant with young children, the Boston terrier has become very popular with young families with smaller homes. While the breed will often cohabitate well with the family’s other pets, close supervision is advised. Aggression towards other dogs can occur so socialising your Boston Terrier young and often is a good idea. Daily walks are essential. Healthy Boston Terriers usually weigh between 6 and 11 kg. The Boston Terrier is a very energetic, confident and enthusiastic little dog that shows high levels of affection and character. The Boston Terrier is a very intelligent dog and enjoys learning, especially playing games and working for treats. Although they are direct descendants of the Old English Bulldog and English Terrier breeds, it has been said that the Boston Terrier can hardly be called a terrier. Their gentle nature, paired with a high tolerance for children and other animals around the home is a stand out for the breed. 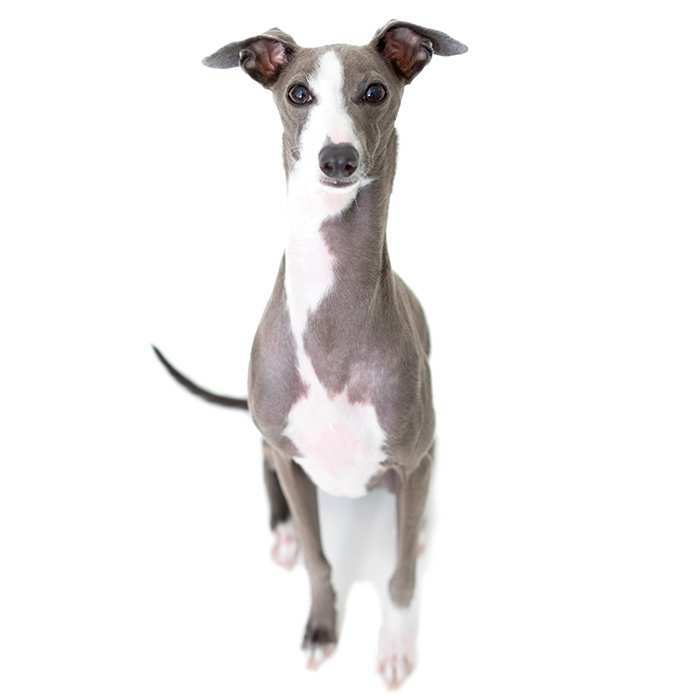 They are an energetic dog at times and playful but can also sit quietly indoors when needed to. It’s this trait that makes them suited to both families with small children and elderly people alike. Boston Terriers can develop behavioural problems if they are not afforded enough human attention. 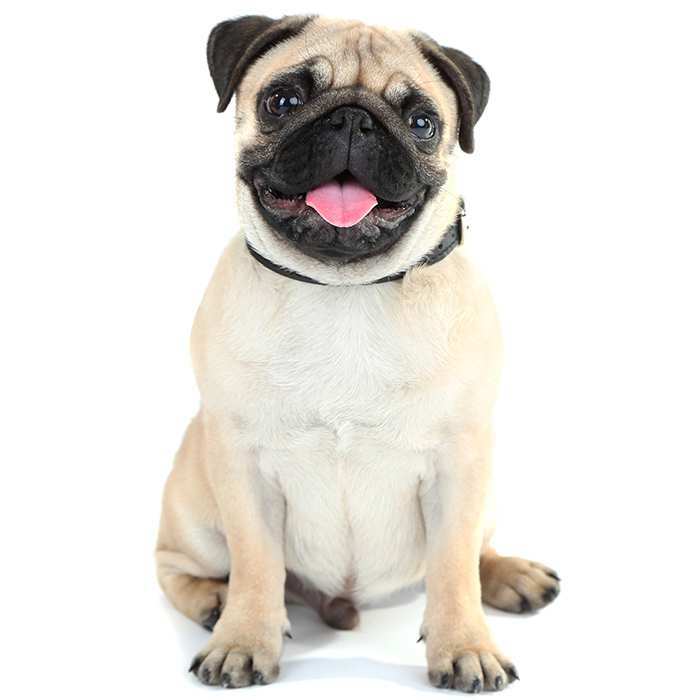 Problems can also develop if the owner doesn’t assert themselves as the dominant pack leader. What is known as ‘small dog syndrome’ can occur in Boston Terriers if there is inconsistent or a lack of discipline in the home. Very open to training and a fast learner, the Boston Terrier requires a the firm hand of a strong pack leader. Some owners have noticed that the Boston Terrier is sensitive to loud noises and the tone of voice. Yelling can cause nervous behaviour and stress. Also, the Boston Terrier requires a good deal of exercise. If your Boston Terrier is misbehaving or appearing a little high-strung, a good walk at least once or twice a day will likely improve its mood. The Boston Terrier shows none of the aggression many terriers are known for and has developed a reputation for being a very tolerant little dog. While small children are generally safe around a Boston Terrier, it’s best to keep a watchful eye on playtime if the child is under the age of eight. Boston Terriers are also notably tolerant of cats and other pets around the home. While the ‘Little American Gentleman’ is usually on his best behaviour, there are sometimes cases of aggression towards other dogs. It is important to socialise your Boston Terrier often and at a young age in order to prepare them for encounters with other dogs in public. 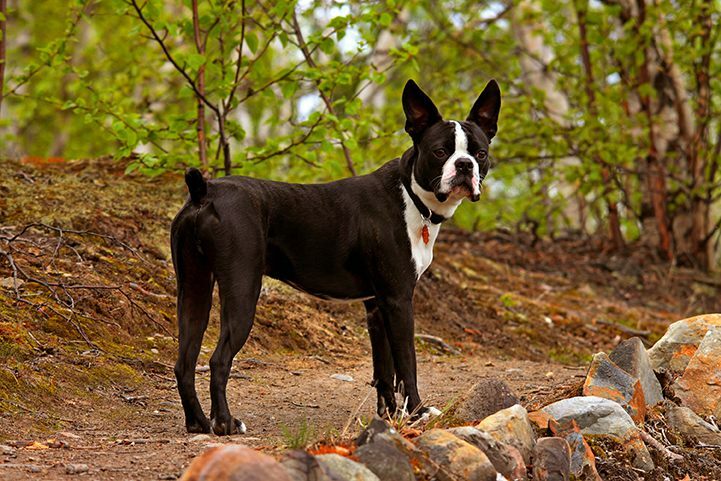 What are the most common health issues for Boston Terriers? Cherry Eye. This condition is quite common amongst Boston Terriers and is a condition in which a third inverted eyelid is present. The condition can be corrected with care. Often upon examination the vet will have the third eye lid surgically removed. Congenital Heart Disease. All forms of congenital heart disease occur in dogs and the Boston Terrier is one breed that is susceptible to the condition. Congenital heart disease is genetic and is the malformation of valves in the heart, causing serious problems that will often result in death within the first year of life. Those that have more mild forms of the condition will mostly survive but will show a tendency to avoid exercise, may have stunted growth or will occasionally faint. Cardiac arrest can occur at any time, but in most cases later in the dog’s life. Heart Murmurs. While heart murmurs aren’t diseases, they are common in the Boston Terrier and often reflective of congenital heart disease. A murmur is the sound the heart beat makes when an irregular amount of blood enters one of the heart’s chambers. Heart murmurs can be connected to endocardiosis, endocarditis, valvular stenosis or dysplasia. Many detected heart murmurs will not be severe or require any treatment. Contact your vet for a check-up if your Boston Terrier is showing low exercise tolerance or faints during exercise. Skin Allergies. Boston Terriers are prone to skin irritations and should be regularly bathed. Known as the ‘Little American Gentleman’ because of its characteristically gentle nature, the Boston Terrier is an all-American dog. 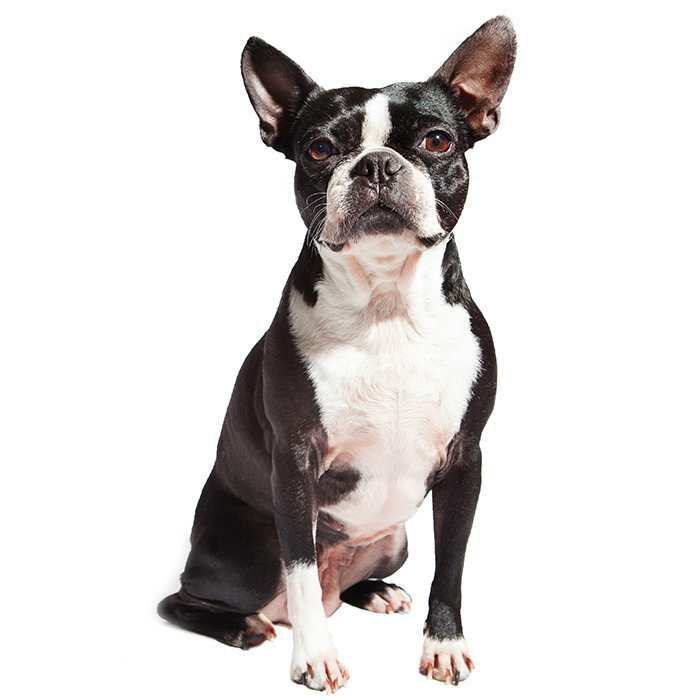 In the 1870s a dog named Judge was sold to William O’Brian of Boston and it is believed that this animal, the first Boston Terrier, was a mix of the English Bulldog and a white English Terrier. 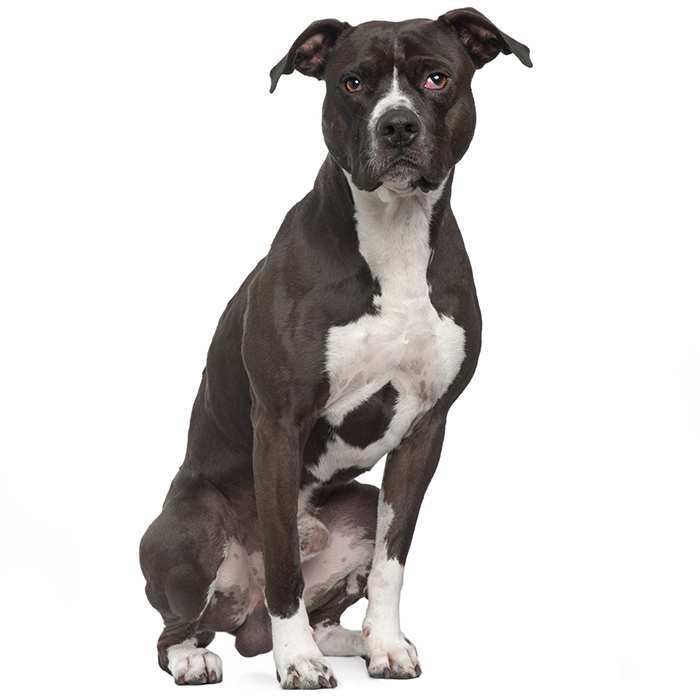 This dog was later mated to a white female and the first litter of Boston Terriers was born. In the late 1880s the dogs that come from this group were growing in popularity and those who owned one in the Boston area organised the American Terrier Club. In 1891 the Boston Terrier Club of America was born and the new breed had its official name. In 1893 the American Kennel Club officially recognised the breed and the Boston Terrier became a popular show dog. The Boston Terrier is quite a bit smaller than its cousins and, with its glowing reputation as a kind and gentle animal, developed a popularity for itself as a household family pet. The Boston Terrier’s reputation has travelled the oceans and now the breed has seen a good deal of success in Australia. Interestingly, the Boston Terrier was popularly known as the ‘Round Head’ or ‘Round Head Terrier’ before it was issued with its official title. In 1976 the Boston Terrier was named the bicentennial dog of the United States of America. Three years later the ‘Little American Gentleman’ was made the official dog of Massachusetts. It doesn’t matter how small your dwelling is, the Boston Terrier will feel at home wherever it is. 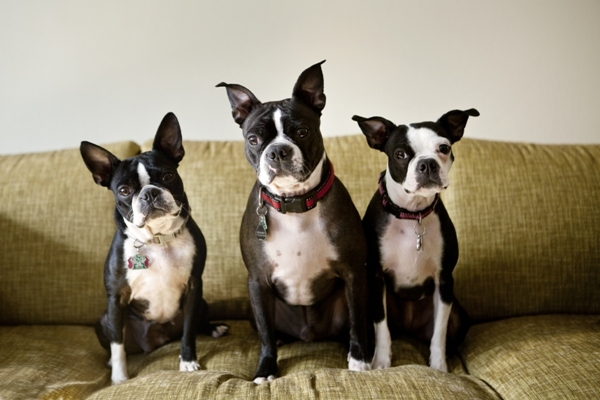 While the breed does require regular walks to keep healthy, Boston Terriers will be perfectly happy in the smallest of apartments, with or without a backyard. In 1915 the Boston Terrier was the most popular breed in the United States. They held a position in the top ten of popular breeds until moving down the pecking order some time in 1960s. Some owners have said that the Boston Terrier makes a great watch dog, only barking at the appropriate times and never becoming what’s commonly known as a yap yap dog. Boston Terriers are known to be very gassy dogs, passing wind much more regularly than most. How often and the degree to which it smells all depends on the dog’s diet.